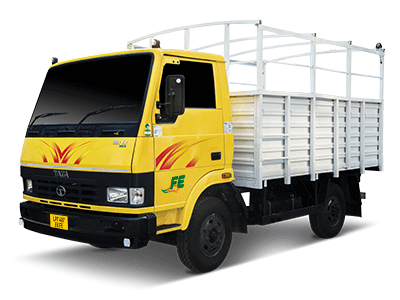 Tata Light Trucks | Tata LPT 407 EX FE| specifications, features, price etc. LPT 407 EX FE, the smallest Tata LPT Truck with superb agility, best payload and longest load body, designed exclusively to suit any kind of application segment. Tata LPT 4T range of vehicles are the longest running LPT face vehicles across the industry with highest standards of safety for driver because of the all-steel cabin and strongest aggregates. With trusted 4SP CR BS4 engine that assures best-in-class mileage and reliable aggregates, you are assured of the best return on investment for your business.